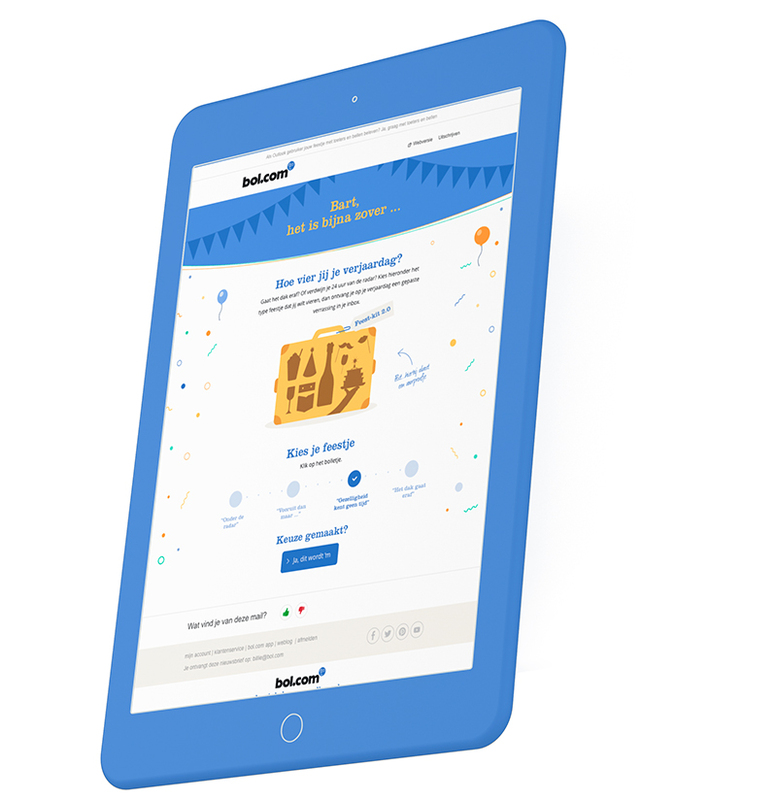 bol.com - birthday loyalty campaign. 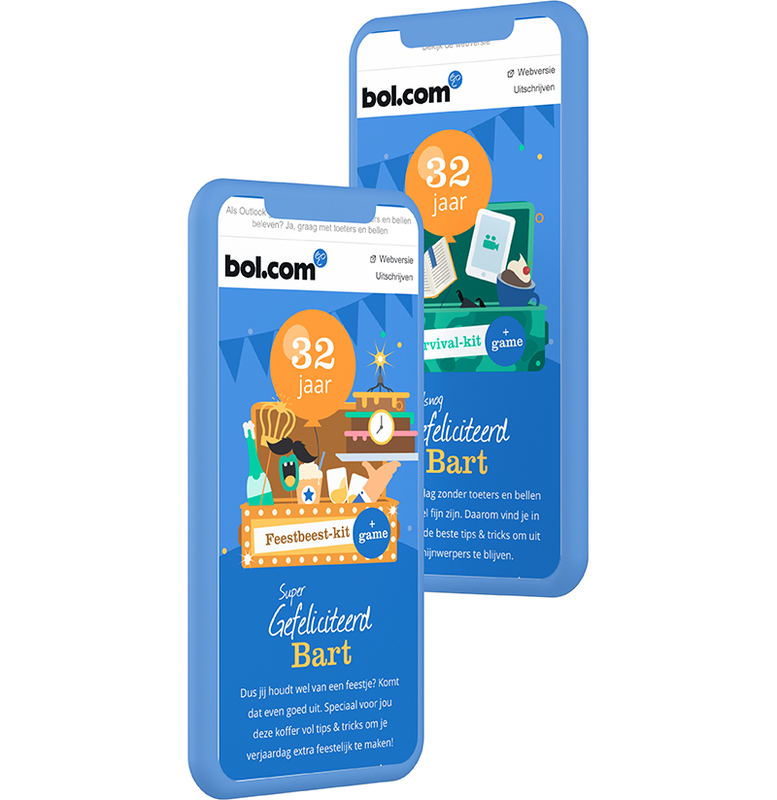 bol.com’s birthday e-mail campaign is slightly different than usual and surprises the customer in a sympathetic way. Let's party! A birthday is a special day, some people love to celebrate it while others would rather stay under the radar until it’s over. Bol.com’s previous birthday newsletter was a simple e-mail with a coupon included. This one size fits all experience for all customers doesn’t fit bol.com’s customer approach. Gracious was asked to come up with a challenging creative concept to make this happy moment a true party in the mailbox. Choosing the right moment to build loyalty is important to make sure the customer feels appreciated. This reactive and proactive campaign is in line with the customer's phase in its life cycle. The birthday is the ultimate opportunity to surprise and inspire without pushing to buy. This approach results in the proper attention and keeps the customer relationship alive. Gracious has created a loyalty campaign that surprises the customer with a party in the mail on his/her birthday. bol.com functions as a guide to a personal birthday fulfillment. Gracious came up with a campaign cycle, starting with a pre-mail and afterwards the actual party email on the birthday itself. In the pre-mail it is possible to choose between four birthday options, “Under the radar”, “Oh well, why not”, “I'm up for it”, “Let's get this party started". This is an important step to make sure everybody receives a relevant e-mail. a personal approach with gamification. The mails contains a combination of animation, flat illustrations and photography to create a rich experience. 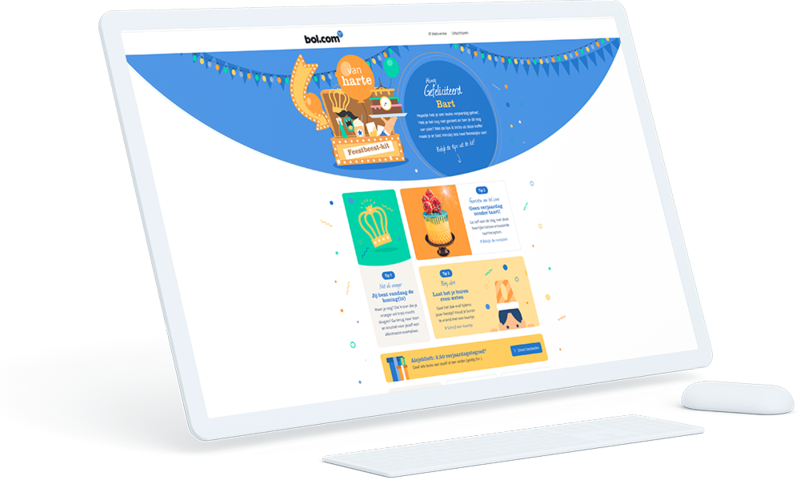 The content consists of tips like recipes, freebies, bol.com’s birthday coupon and tips for a perfect party (or the opposite, undercover tips to stay under the radar). 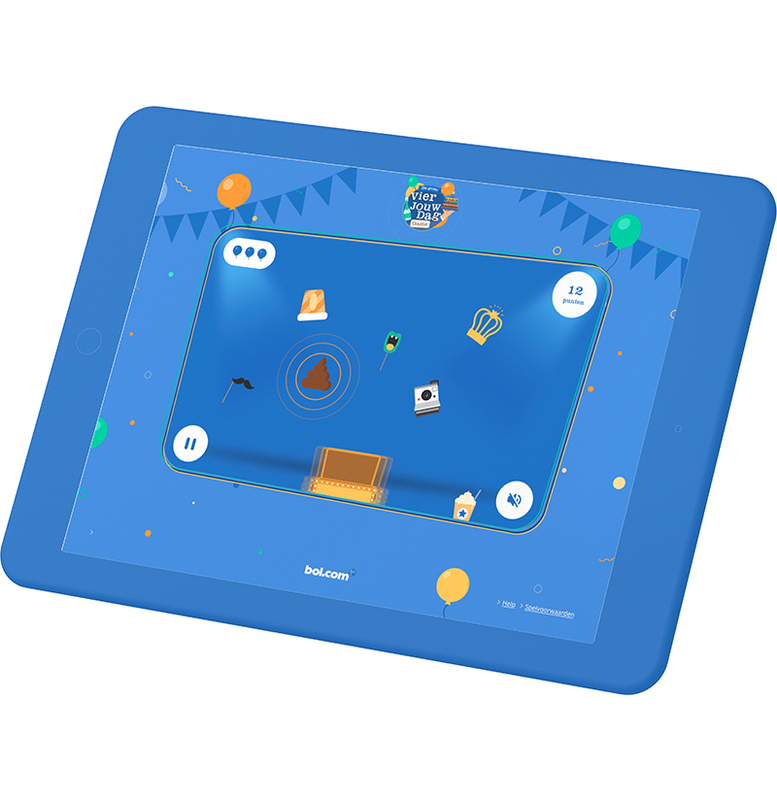 To top it off we created a bol.com Birthday Game that challenges the birthdayboy or girl to catch all birtday props in the suitcase. The fastest gamer wins a shop credit of €10. "Fun to read and my kids loved the D-I-Y birthday decoration"